With Easter just around the corner I wanted to share with you all some of my favourite vegan Easter eggs and treats. Every year, and as more and more people turn to veganism, there seems to be a bigger and better choice of dairy free chocolate products. I've scoured the shops and the internet to be able to bring you what is in my opinion the very best of the best! A few of these products have been firmly penned onto my own Easter wish list and i'm sure they'll get you excited for the chocolate lovers favourite bank holiday weekend. 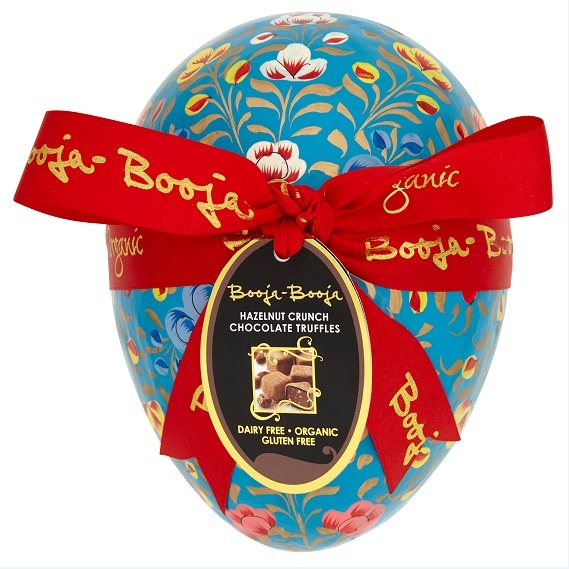 This egg looks stunning and i'm sure, like all Booja Booja products, it's a real treat! Hazelnut and chocolate is one of my all time favourite combinations and if you like the infamous vegan Vego bar then i'm pretty sure you will like this. It's at the pricier end of the scale at £24.99 for the large egg but there is also a smaller version available for £9.99. I really hope the Easter Bunny brings me one of these! 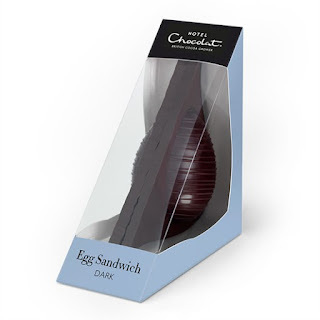 This egg sandwich is really original and makes a novel change from other traditional Easter eggs. I love that it also comes in a sandwich box! Its fun and luxurious - what's not to like!? Again this is a little pricey at £10.00 but personally I would rather one really decent Easter egg than a whole load of cheap ones. 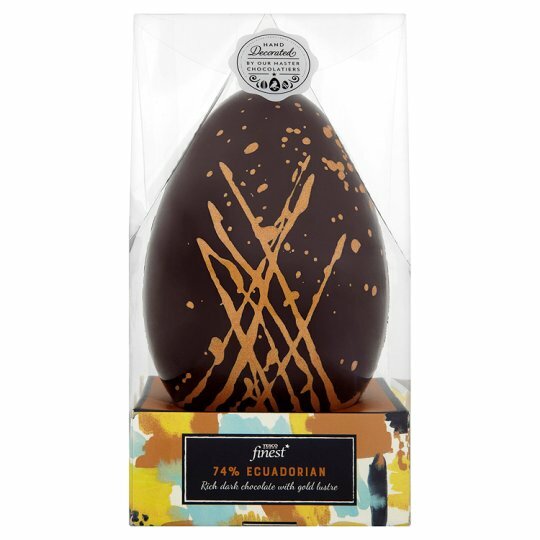 This vegan Easter egg option from the Tesco's finest range is oh so pretty! I love the gold detailing on this egg which makes it feel quite luxurious. This is a great choice for anyone who enjoys the finer things in life! 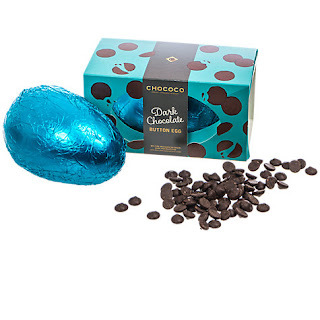 This option from John Lewis is handmade by award winning artisan chocolatiers Chococo. Crack it open and you'll find lots of little yummy chocolate buttons inside. 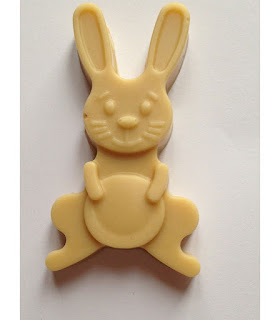 Here's something for the white chocolate lovers... Award nominees No Muu are fairly new on the vegan chocolate scene but they are already creating a buzz around their dairy free chocolate creations which are specially designed to appeal to children. 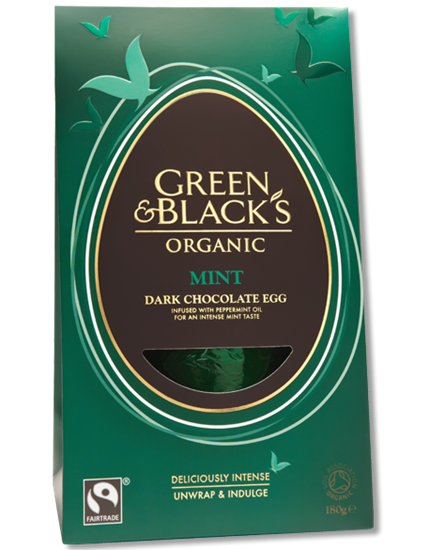 I'm not a big dark chocolate lover but I absolutely love the taste of dark chocolate when it's combined with other flavours, particularly mint. There's just something about this combination that works so well and it's a god send for anyone like me who used to be addicted to After Eights! I personally cannot wait to try this mint chocolate Easter egg from Green & Blacks. 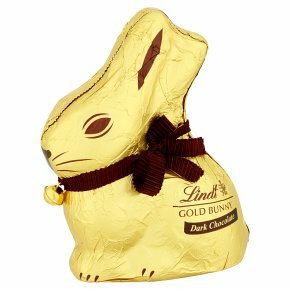 Easter wouldn't be complete without a Lindt gold bunny and it's an old favourite which has fortunately now been made vegan friendly with their dark chocolate version. Hooray! I've tried many Cocoa Libre products in the past and I can assure you they don't disappoint. If you happen to miss milk chocolate then this is definitely the treat for you. 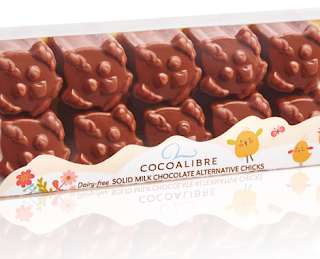 Made from rice milk these little Easter chicks are both creamy and delicious. 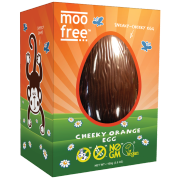 Moo Free are probably one of the most recognised brands for vegan friendly Easter eggs and they are one you are bound to come across in the supermarkets or your local Holland & Barrett. I'm really excited by this new chocolate orange flavour egg! Thanks to Vegan Town creme eggs needn't be a thing of the past. I've yet to try their delicious looking vegan versions but i've heard so many great things that i'm really looking forward to trying them for myself. These have to be the must have item on any vegans Easter wish list! If you didn't already know, Ananda's vegan Round Ups are already a firm favourite within the vegan community. Just like a wagon wheel, this Easter Round Up is a sandwich of chocolate biscuits with marshmallow and fondant in the middle coated in a delicious Belgium chocolate. When I first tried one I couldn't quite believe it was vegan friendly, it was so good! 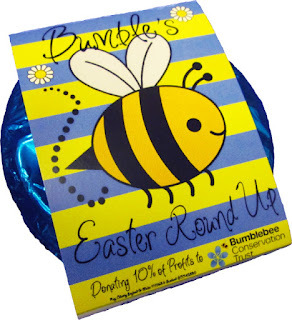 It's great that Ananda's have made a range of Easter themed products and I especially love that they are also supporting the BumbleBee Conservation Trust by donating 10% of their profits to them. 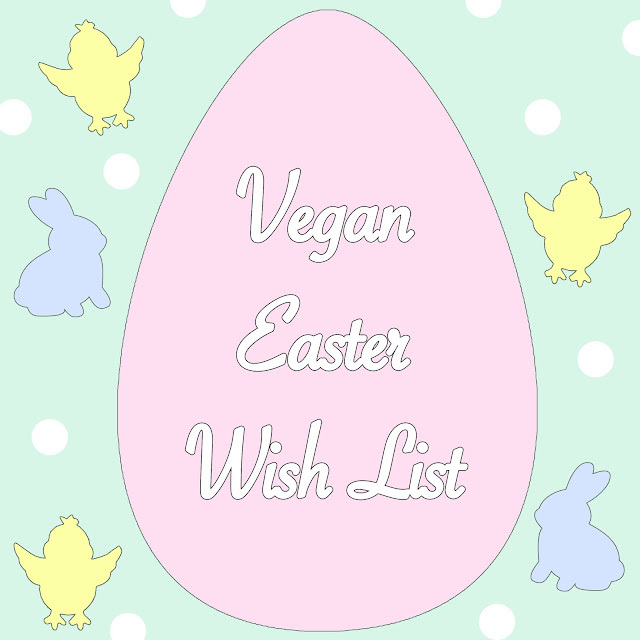 What's on your Vegan Easter wish list? Great roundup! The Moo Free orange chocolate egg is sat in my kitchen right now. I saw the Booja Booja eggs in Wholefoods the other day and was so tempted to buy one, but resisted!